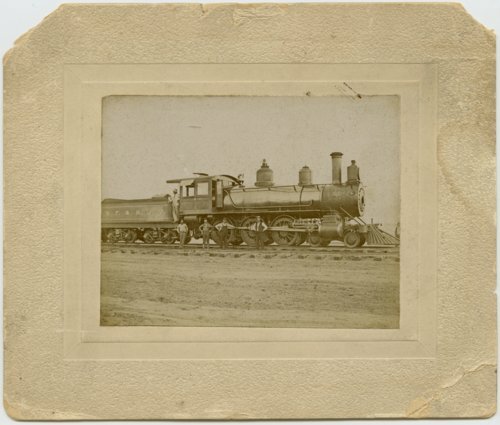 This sepia colored photograph shows a train crew standing beside a steam locomotive at a unidentified location. The tender car, behind the locomotive, has the letters S. F. & J. J. V. written on the side. Those letters could possibly stand for the San Francisco & San Joaquin Valley Railroad.